Situated in a popular and convenient location a well-presented and extended detached family home. Enclosed private landscaped gardens, driveway providing parking for several vehicles and detached garage. From our office proceed down the High Street in the direction of Nantwich passing the Tarporley Community Centre on the left hand side. At the junction turn left onto Nantwich Road (A51). Proceed for a short distance passing through Tilstone Fearnall and enter into Alpraham. Continue through passing the Tollemache Arms on the right and proceed out of the village. Before the bridge in Calveley via left onto Station Road and the property will be found on the left hand side. Low level WC, wash hand basin, toiletry shelf and extractor fan. Bow window to front, radiator, coal effect gas fire with timber hearth and marble surround. 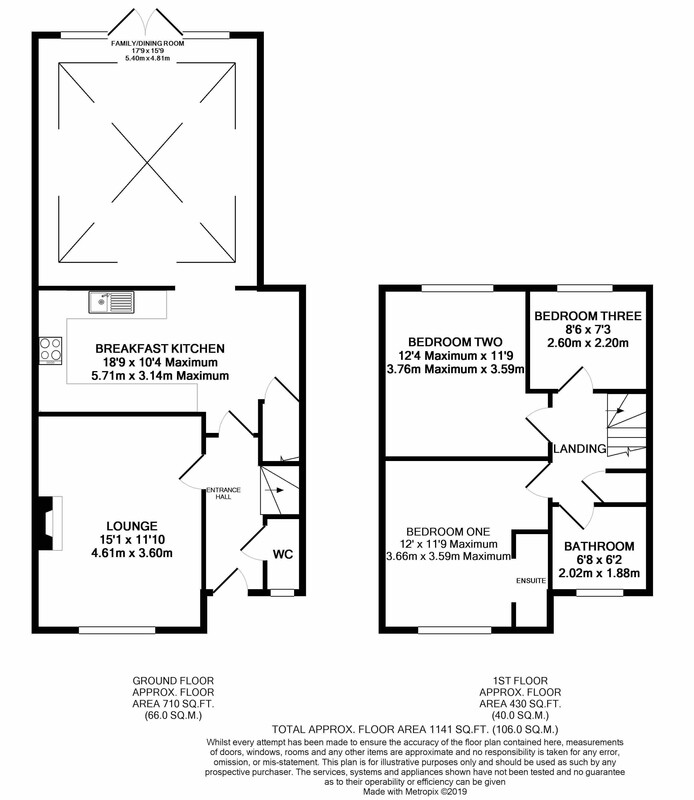 Tiled floor, fitted with a range of wall and base units comprising cupboards and drawers, base units with work surfaces over and tiled splashback, space for fridge/freezer, built-in microwave oven and grill, built-in dishwasher, space and plumbing for washing machine, four ring gas hob with extractor fan over, breakfast bar, window to side, radiator and understairs storage cupboard. Tiled floor, windows and patio doors to rear and radiators. Window to front, radiator, built-in bedroom furniture comprising bedside cabinets, wardrobes and dressing table. Wash hand basin, radiator, extractor fan, shower with wall mounted shower head over and tiled splashback. Window to rear, fitted with a range of built-in wardrobes and radiator. Half tiled walls, tiled floor, heated towel rail, low level WC, wash hand basin, bath with mixer taps and wall mounted shower head over and screen and extractor fan. To the front the property is approached over a gated tarmac driveway with ample parking leading to the Detached Garage. The garden is low maintenance with hedged boundaries creating privacy. To the rear a small pathway leads to the rear with a patio area ideal for outside entertainment. The garden is mainly laid to lawn with wall and fenced boundaries creating privacy. Side pedestrian access, power and light.